A set of two rare coloured photographs of John Lennon and George Harrison at the Troubadour Club in West Hollywood, California in 1974. The first photograph is in portrait and features John Lennon and George Harrison in an (inebriated?) embrace. The second photograph is in landscape and features John Lennon sitting with the session drummer Jimmy Keltner. Both photographs measure 16.5cm x 11.5cm (6.5 inches x 4.5 inches). 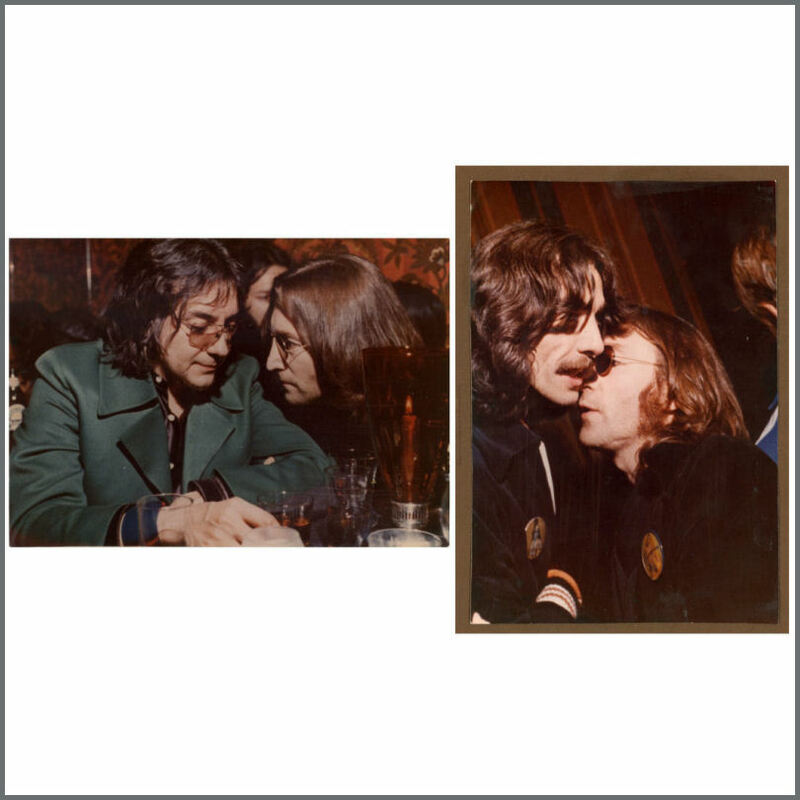 The photograph of John and George is glued to a piece of brown paper which measures 15cm x 22.5cm (6 inches x 9 inches). The photograph of John and Jimmy has ‘…now, don’t get real on me…’ written on the back in pencil and also has a note taped to the back with ‘Jimmy Lee Keltner and Dr Winston O’Boogie ‘…now, don’t get real on me…’ written in gold pen. The condition is very good.